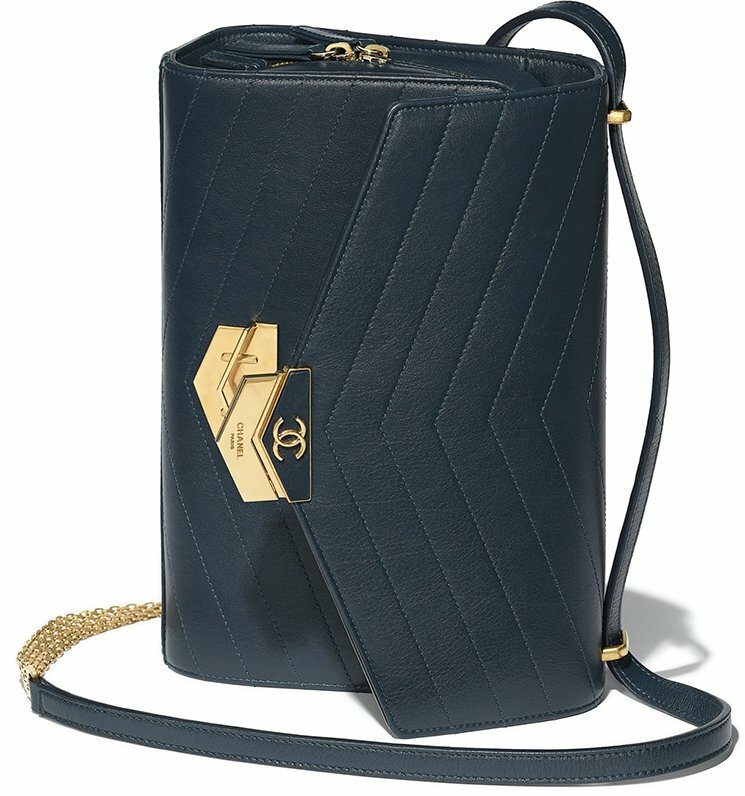 We’ve been eyeing like a hawk on the Chanel Chevron Medal Flap Bag since it was launched in the Pre-Fall 2018 Collection. 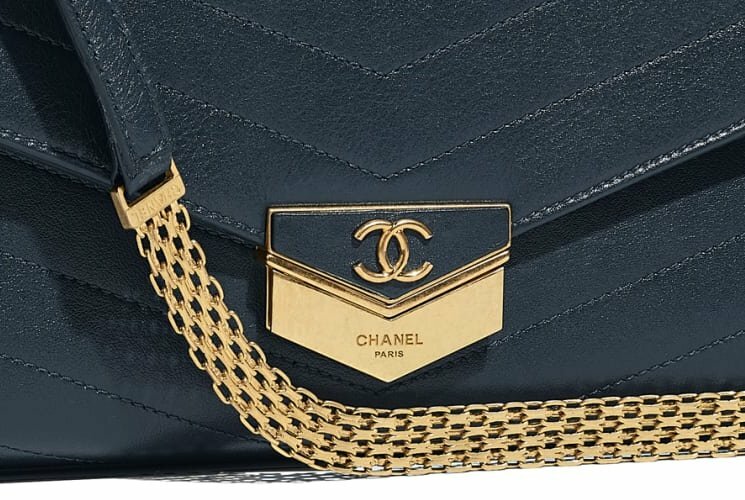 It’s such an astonishing handbag with fine details that can make anyone obsessive. It’s distinctive because no components have been copied from the classics yet the design looks so timeless. And even tough it’s a seasonal bag; beauty does come with a price. 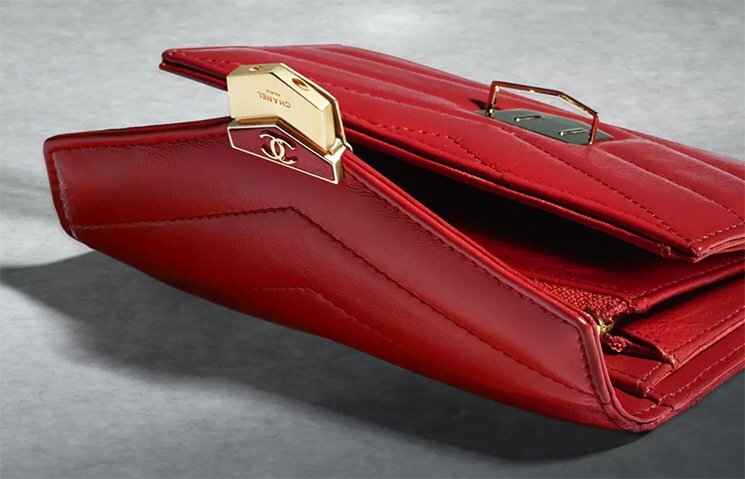 We can say that the price tag is evenly matching to the Classic Flap Bag, or perhaps even higher. But let’s do a comparison to find out. 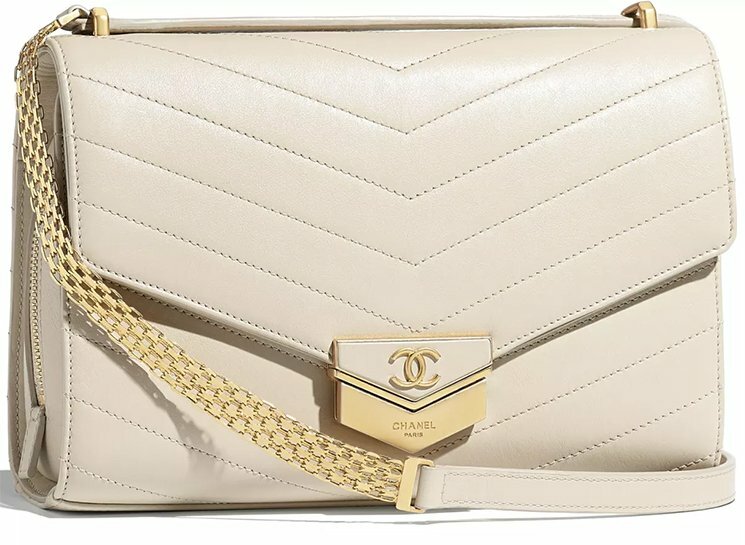 Chanel creates two kinds of diamond quilting; the puffy quilting like in lambskin or the flat quilting like the Chanel Flat Quilted Clutch With Chain. 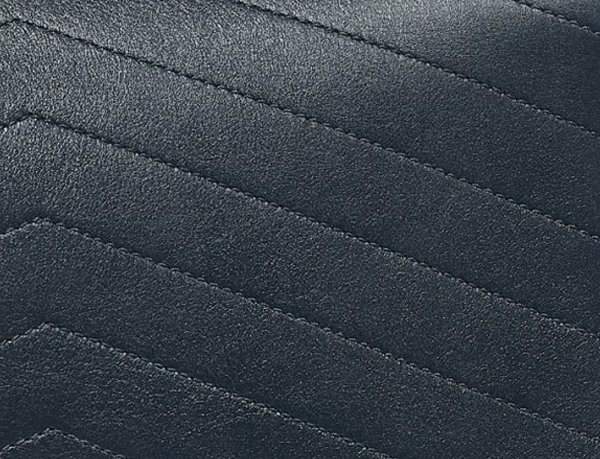 But what we don’t often see is the flat quilted chevron leather. We know the puffy chevron quilting exists. But the flat chevron quilting? 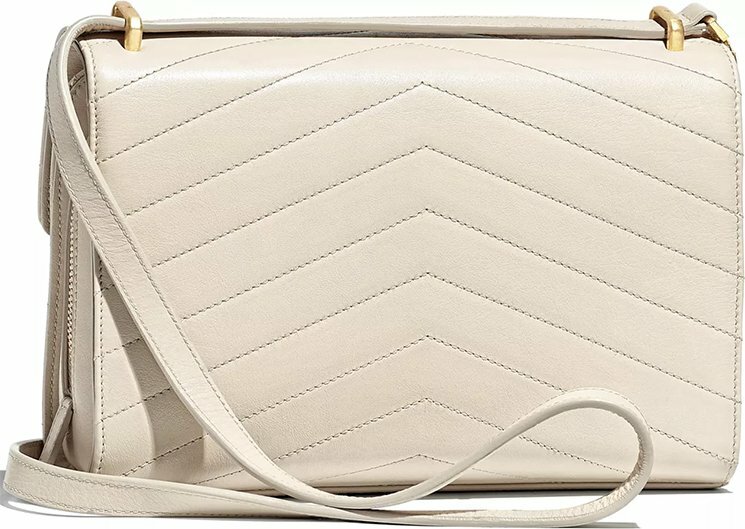 Oh well, perhaps that’s what makes this Chevron Medal Flap Bag special. It’s designed with flat chevron quilting with beautiful vivid stitches. 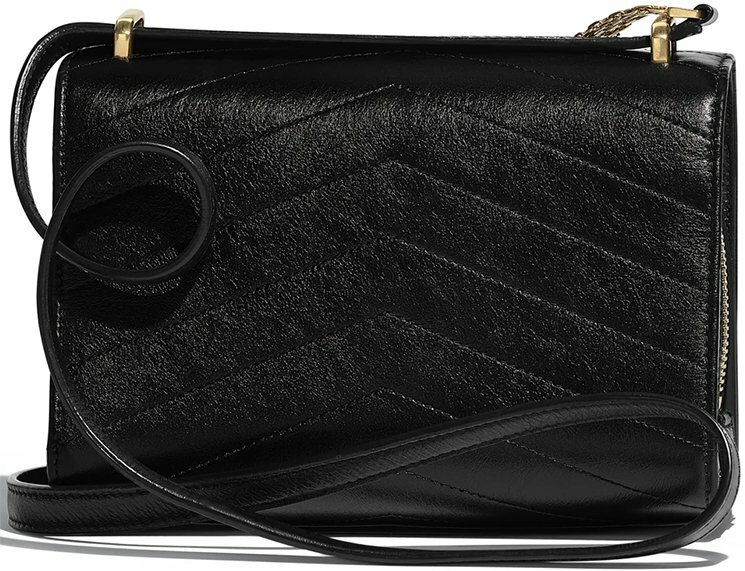 The bag is made from calfskin and we can feel the durability just by looking at the picture. 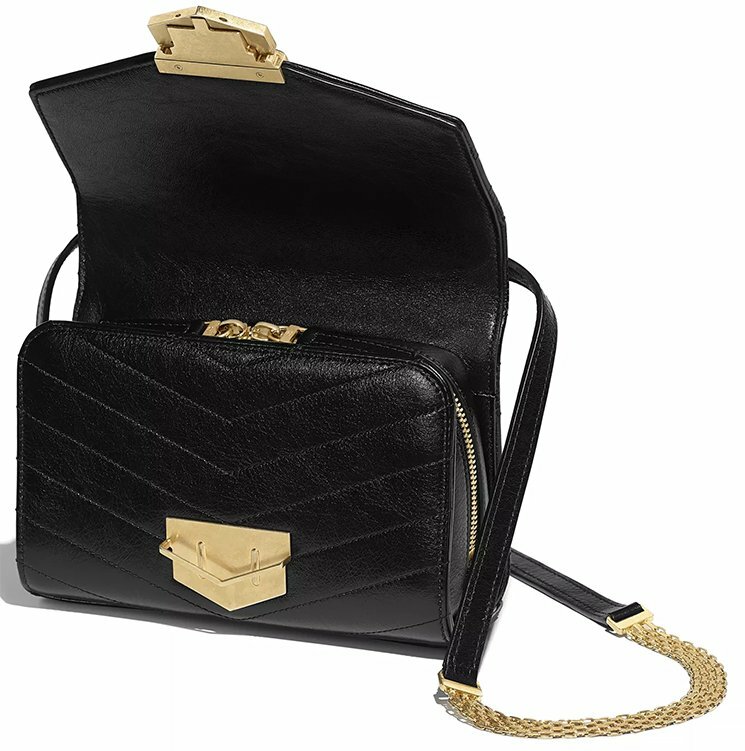 The Chevron Medal Flap Bag will definitely hold shape and there are two details that are very eye-catching. First the newest CC closure on the center of the flap. This CC logo is built like a chevron medal. The color of the top part matches to the shade of the bag. It’s also embellished with the CC logo. The bottom part is refined with gold hardware for the shimmering effect. 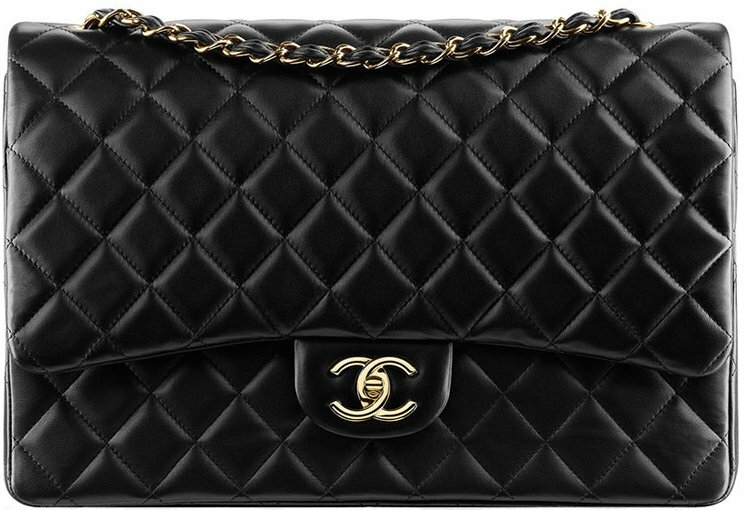 It’s also embellished with the house’s signature that reads: ‘Chanel Paris’. The chain strap is even more fine-looking. The chain must be inspired by a jewel-like wear, like a necklace or a bracelet. The chain looks fabulous and elegant. 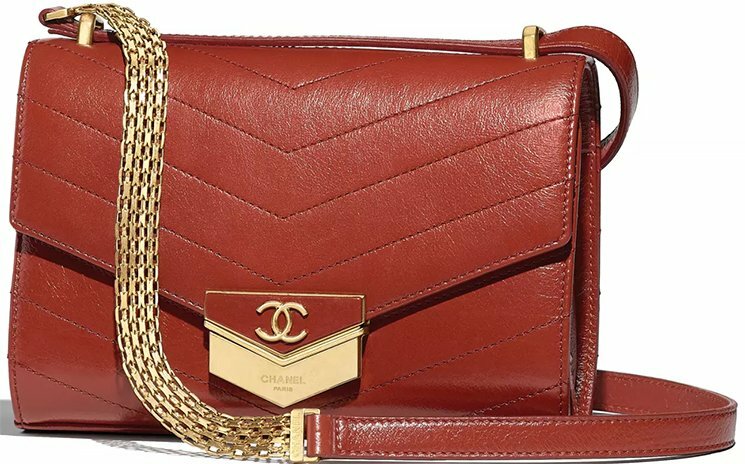 The chain is also connected to a leather strap for shoulder or cross body carry. 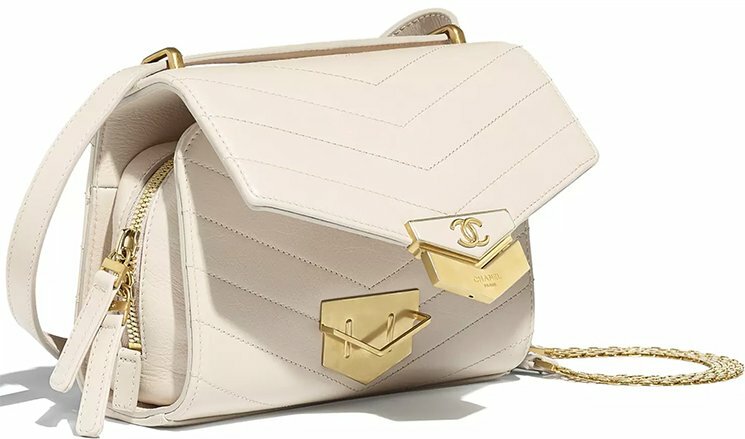 Overall, this bag is a great investment partly because it’s seasonal and thus a limited edition piece. The overall design is crafted to last-forever, forever-in-fashion. 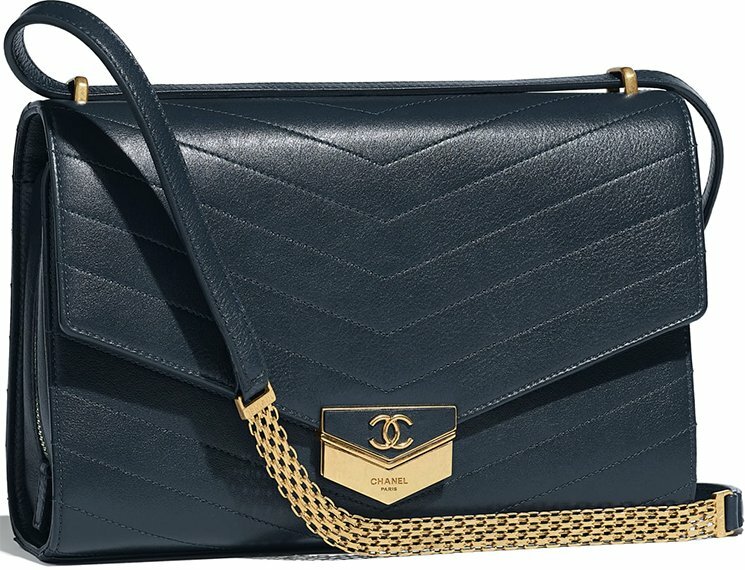 Let’s compare the medium-sized of the Chanel Chevron Medal Flap Bag with the Medium Classic Flap Bag. 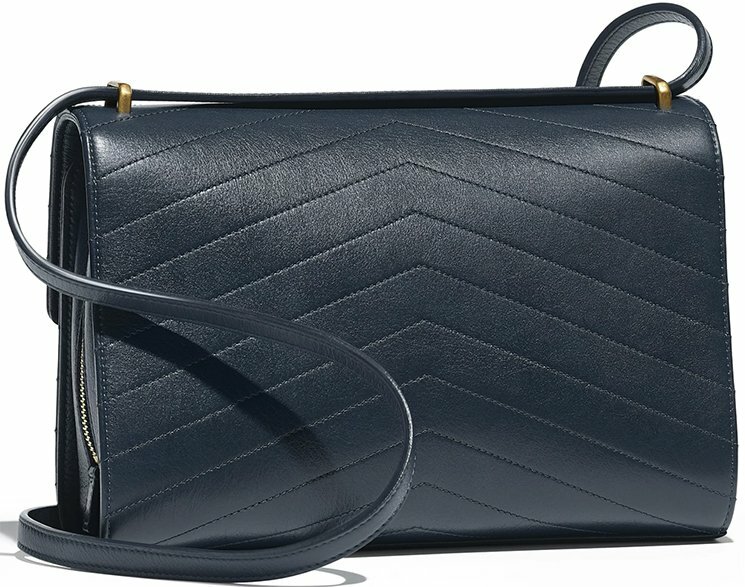 Which bag is bigger, and what’s the price? 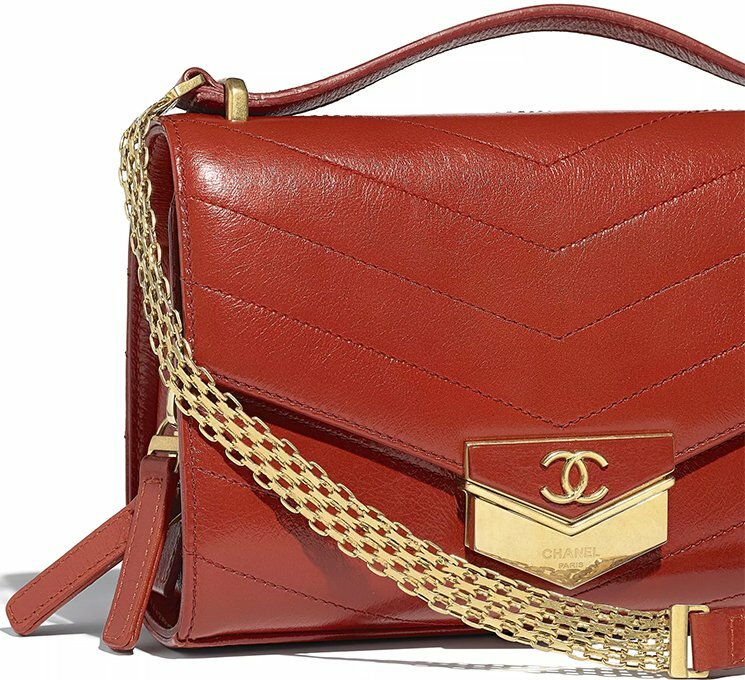 The Chanel Medium Chevron Medal Bag is measured 6.3’ x 2.8’ x 9.1’ inches and it’s priced at $4600 USD. 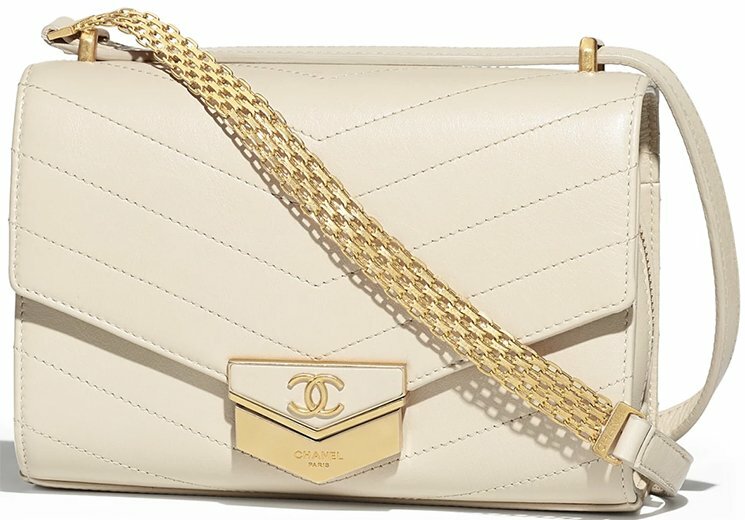 The Chanel Medium Classic Flap Bag is measured 6’ x 2.5’ x 10’ inches and it’s priced at $5300 USD. 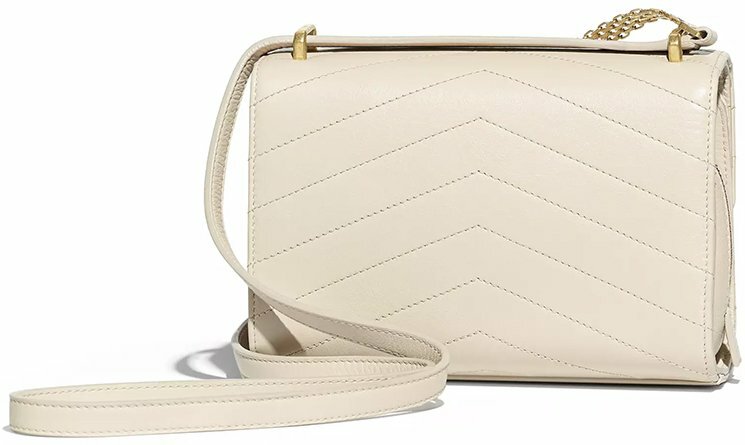 The Medium Chevron Medal Bag is about the same size of the Medium Classic Flap Bag. It’s bigger in some parts but also smaller in other parts. But overall, they can be matched. 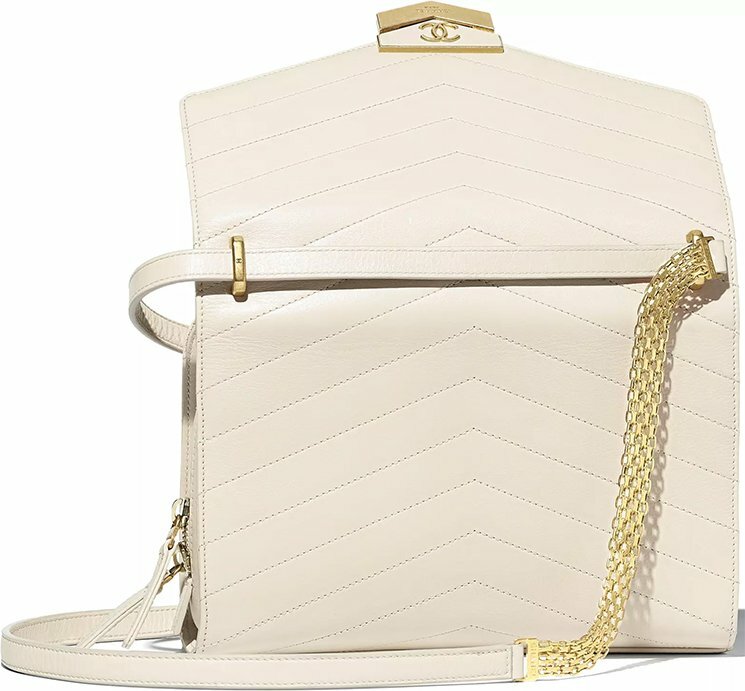 The Medium Chevron Medal Bag is priced at $4600 USD while the Classic Flap Bag is priced at $5300 USD. 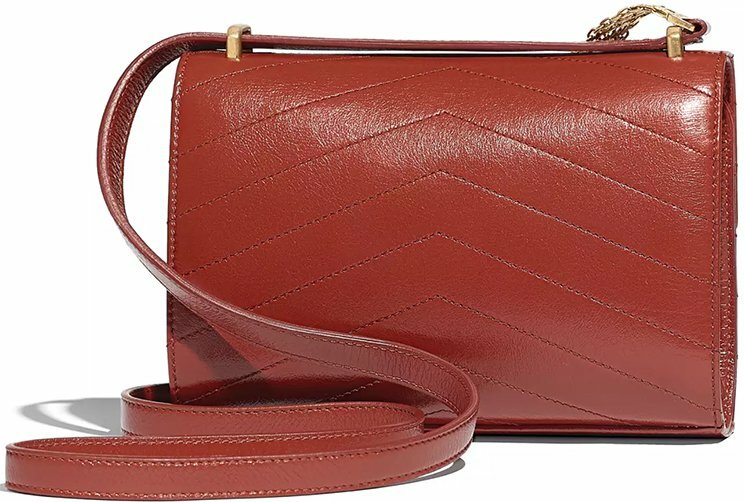 So this seasonal bag is also slightly cheaper too. So what do you think? 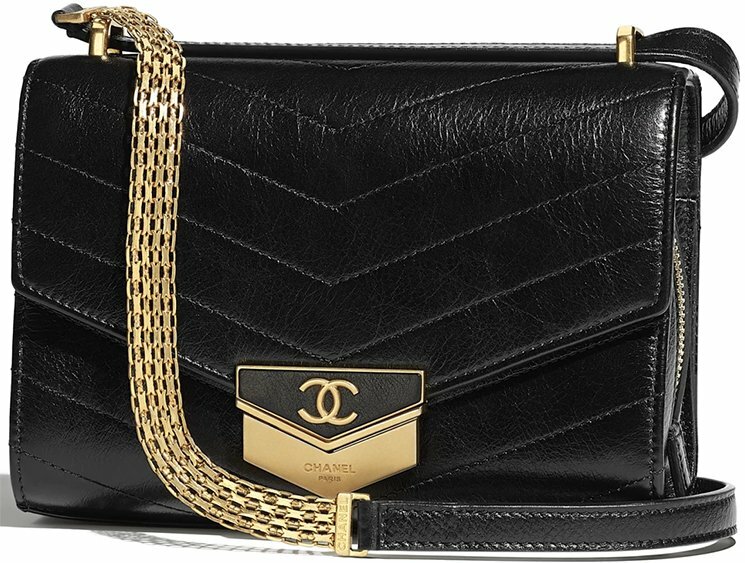 Would you rather choose this bag or the Classic Flap Bag?